I managed to score a trip to my asthma/allergist yesterday to find out I have bronchitis. I've been fighting allergies for over a month and a horrible cough for over a week now and they won. Why did I fight so long? It figures. I finally was cruising and things have to come to a standstill. Again. But progress. Enough progress for WIP Wednesday at Freshly Pieced! My aunt's quilt pieces are all cut out. Including the color with the dreadful name, Pale Flesh. Not Kona's finest moment. But I have to admit, it is a GREAT color for dolls like my Not So Raggedy Ann. I felt like Hannibal Lecter cutting into it. I also was watching Snow White and the Huntsman at the time. All the talk about cutting out her heart and eating it will forever be burned in my mind! But I am pleased with the choice now that I have committed to it. I think it will bring a soft feminine touch to the deep browns and reds that are in the prints. 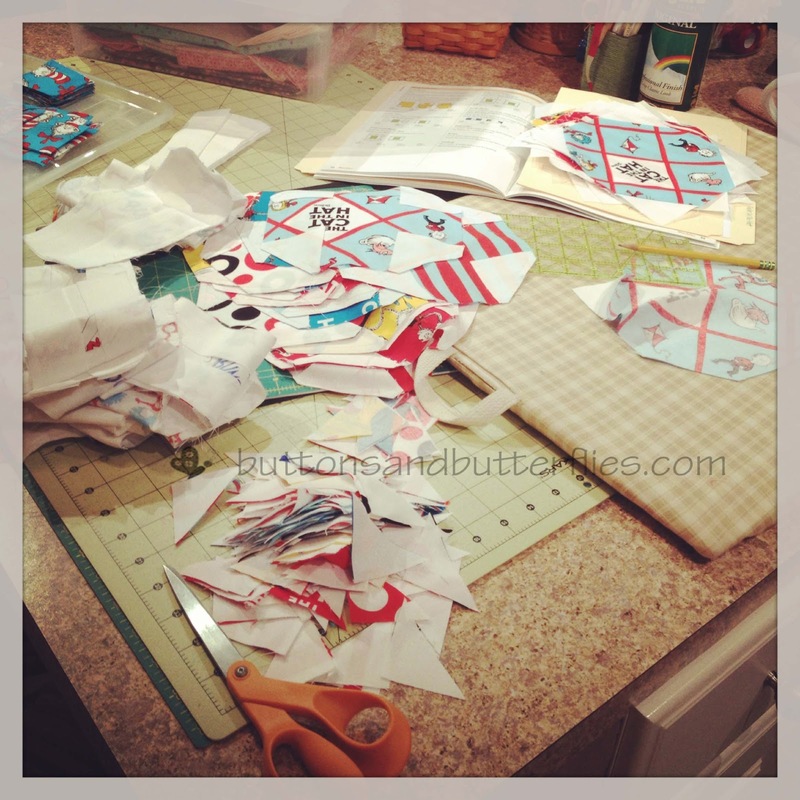 I finished cutting out all the pieces and have made significant progress piecing it. I am getting really close to the layout process! The star hexi panel is 95% complete. I finished piecing it, but need to address the falling stars. I posted on Facebook my feelings about it. I finished it while riveted to the Boston Marathon coverage on television. Irony or destiny that the last stitches were made when the doctors came out to update on all the victims statuses? I'm not sure, but it was perfect timing. I had looked down sad and dejected. My view? This on my lap. And suddenly, I couldn't help think about the history of our flag in this country. I had the image from my childhood memories. A cartoon of a lady in a rocking chair, stitching the original Stars and Stripes while a war for freedom raged. I know our nation is still in it's infancy, in many respects, and I know that we are feisty and strong. We will endure. 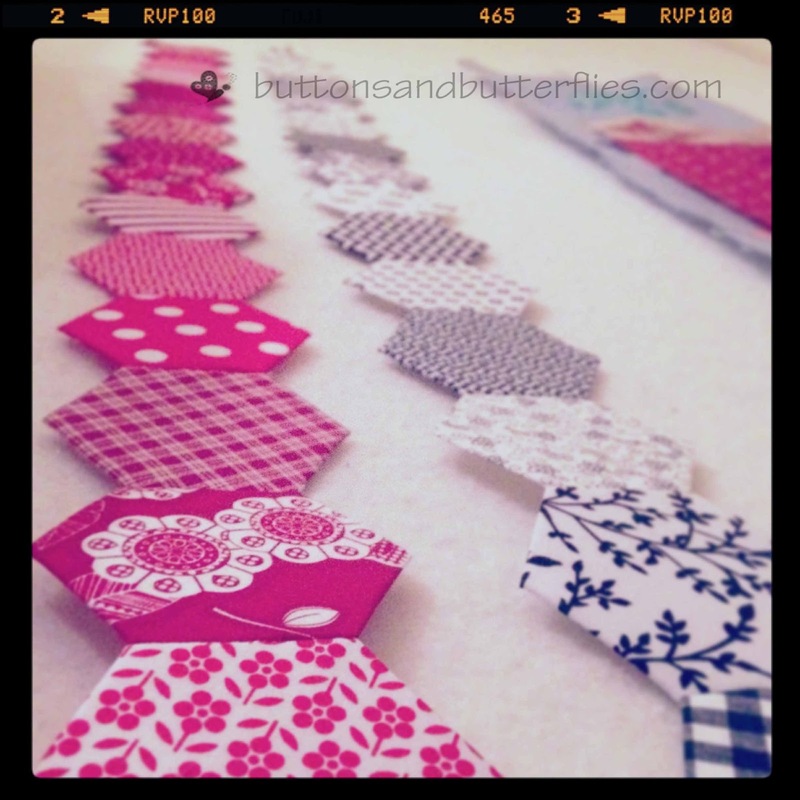 The red, white/black hexies demanded to be started right away. 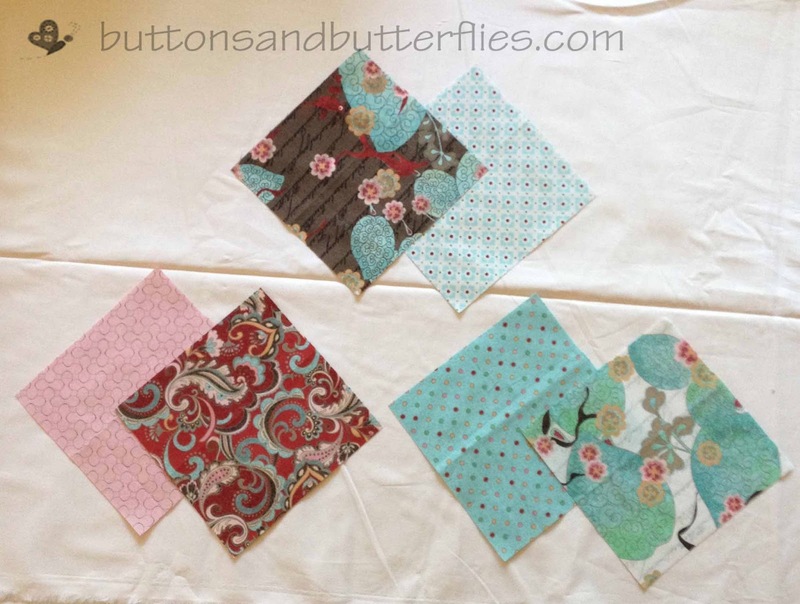 Layout commenced Sunday night, so two full rows have already been completed by the time I closed my eyes last night. I am actually getting more and more excited about this project because Mr. Boss and I have decided that it will be a wall hanging, not a throw like my plan. I have my first "customer" quilt ready and willing to be sandwiched by me! But first, I have to get better so I can stand at long enough increments. In the meantime, I am making final decisions about thread color and quilt design! But. Like always. It will all have to halt soon. My second scrapbook retreat of the year approaches and I am not ready for it. I need to select, edit, and print February through now. As long as I am done coughing up a lung by Friday, that is. What is everyone else up to? Anything stopping you from using up your sew-jo? 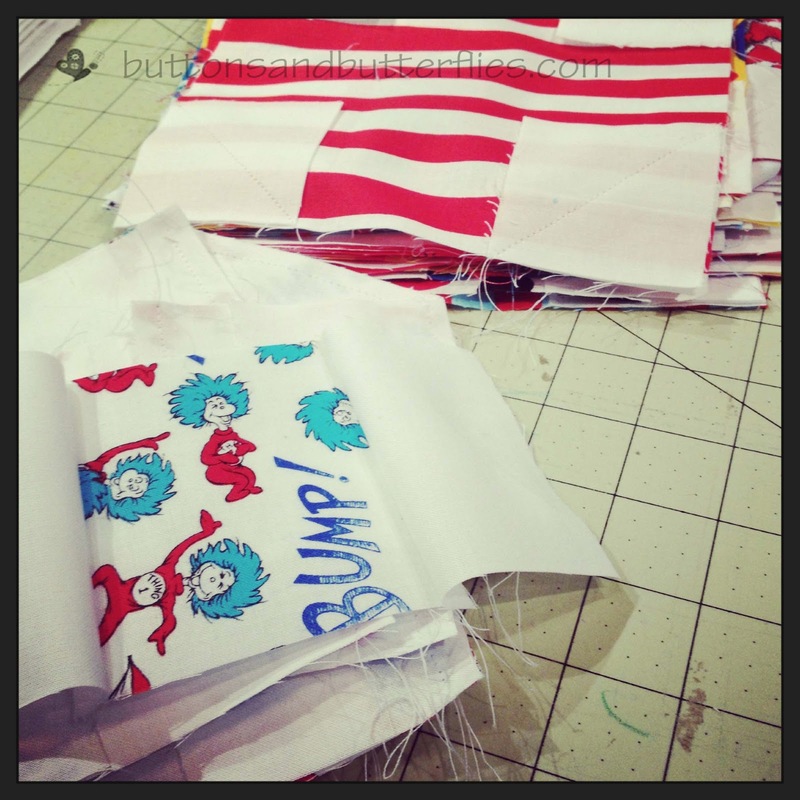 I love your bright hexies, nice and fiesty :) The cat in a hat quilt looks like a lot of fun! Oh no! Get well soon! Also, you have so many wonderful projects going on here. I can't wait to see your progress! Loved your story about the Boston Marathon. That quilt is going to be amazing. Get well soon. I had bronchitis a couple of weeks ago, and it was miserable. 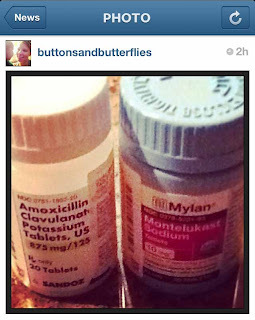 Ughhh bronchitis, I hope you feel better soon! I've been fighting to get my sew-jo back for the last month or so. No good reason, just a series of other things needing my attention more or being pooped at the end of the day. Yuck! Sorry you're not well, I hope you do feel better soon. That's quite a pile of work you've managed. I'd probably be in bed heap waiting for better days. Beautiful work! I hope you feel better soon! So yucky to be feeling so wretched. Good luck on your customer quilt-how exciting! I came to check out your hexies. I WILL get to learning how to do them some day. p.s. I don't know why my McAfee is going crazy telling me your page is dangerous, but I clicked to come in anyway. Wow you're a busy lady! I dream of having a long arm someday! Ohhhh the things I would quilt! Hope you are feeling better soon! 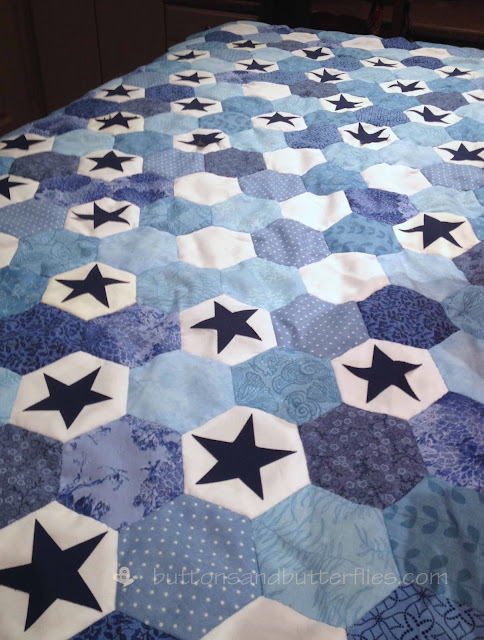 I agree with your thoughts about the Boston tragedy and love the connection with your stars quilt. 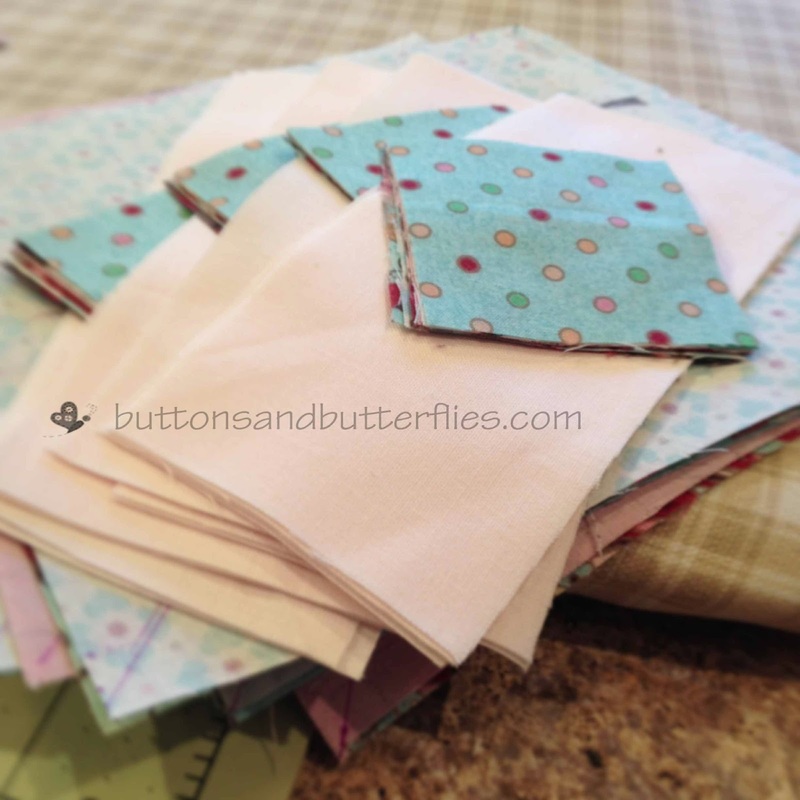 I know several other quilters who blogged about keeping their hands busy while their hearts were breaking with sadness for what happened. I love what you wrote. And for being so sick (please get better!) you sure were busy! Feel better! I had bronchitis as a kid and it was brutal.